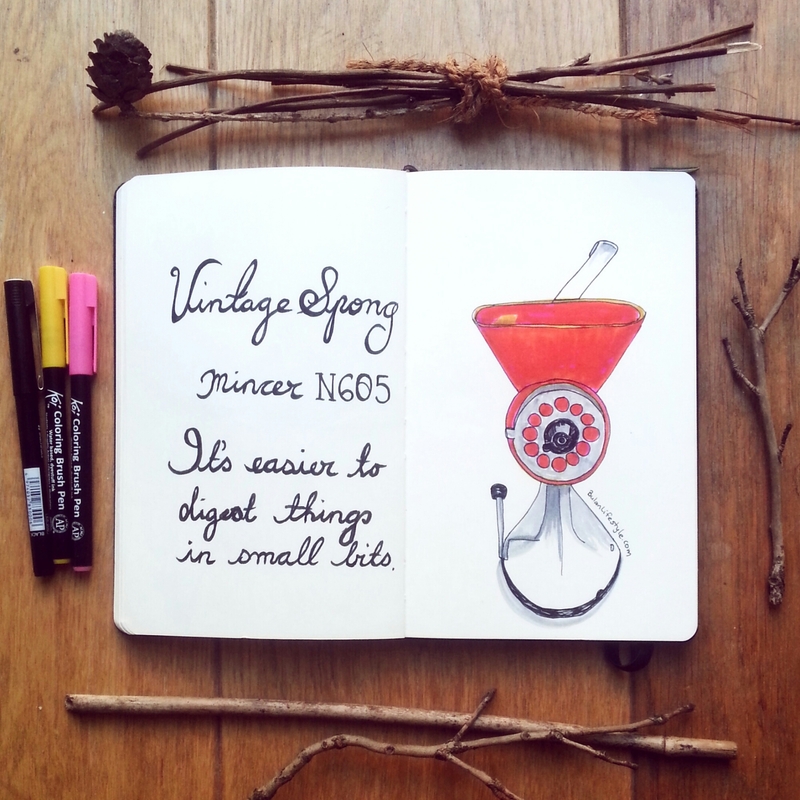 Sketch of the day no 911 in my moleskine art journal: vintage Spong mincer N605. It’s easier to digest things in small bits. Sketch of the day in my moleskine art journal is of a vintage Spong mincer N605 I spotted at a flea market. I’m sure they have schemes for the homeless. A friend of mine used to work in NYC on homeless issues. wow that’s a lot of homeless people in SF. That is really sad. PS. Take good care of yourself my dear. The UK is not immune to the madness we just saw in France. Also, I understand that there have been unpleasant “incidents” from some brits towards foreigners. One has to move on and ignore the jerks, but just watch your back. Bz. Yes, we did. Thank you. A nice town, a bit… marred by a terrible homeless situation. There are more than 6,000 homeless in San Francisco. Most concentrated between Powell and Market St. Most with sever health (physical and mental) health issues. A shame really. How was SG?Did you have a good vacation? You are very resilient. I’m not. Same happened to me more or less, just swap the mouse for a hyrax, and the wasp for a scorpion. let us say I have learned to give animals their distance… Oh! I saw a lot of Stewart’s cousins in San Francisco. They say hello. A brain cell mincer? 🙂 Have a lovely week Tiffany. (Going to San Francisco tomorrow. For a week. Nice. I will say hello to the sea lions on your behalf) Cheers. haha yes I do love vintage and my brain works like a mincer or mixer. It floats around and perculates and something materializes! Interesting how your mind works… I already know you like vintage objects (what on earth is a “spong”? ), but you see something, and somehow, the idea for a sketch springs AND the words that go along, and very nicely. I suspect the image is what stir the words, right? And the words come… easily. When I saw this at a flea market I was instantly drawn to it. I havent seen one since I was a child like you, brings back great childhood memories. This orange one would be perfect for mincing carrots! What colour was the one in your kitchen?